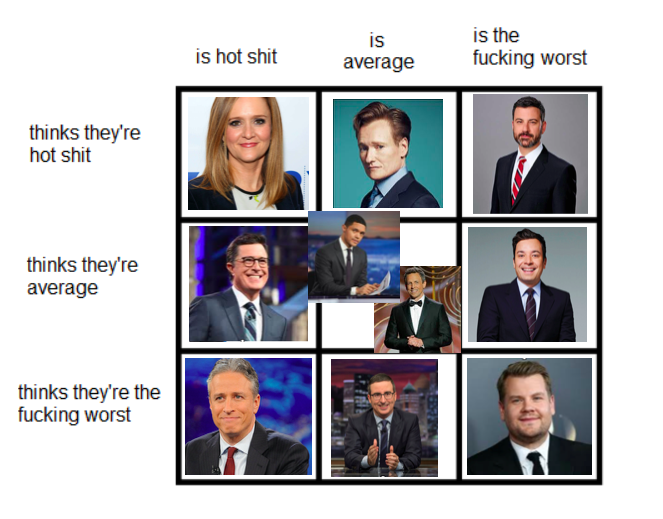 Check below to get your The Tonight Show Starring Jimmy Fallon fix and discover other shows you might like. A special medley performance of "Get Ready" and "Ain't Too Proud to Beg" sung by the cast of the Broadway musical Ain't Too Proud: The Life and Times of The Temptations for the Tonight Show audience. Conor McGregor, Michael Che, Rachel Feinstein, Frank Pellegrino Jr.
Sam Rockwell, Kathie Lee Gifford, A Performance by Rodgers & Hammerstein's Oklahoma! Jimmy reads his favorite #IGotBusted tweets! Cardi B questions Jimmy in a game of Box of Lies! John Krasinski on directing his wife, Emily Blunt, in A Quiet Place.